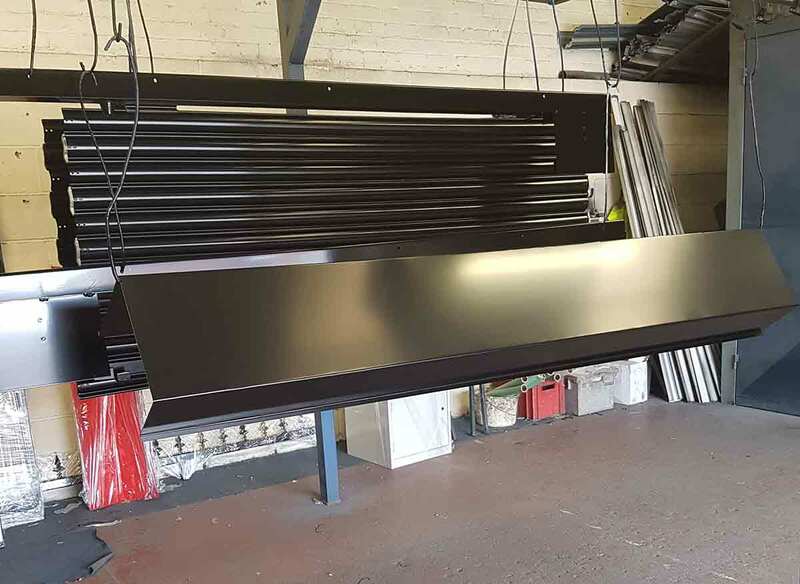 A selection of powder-coated roller shutters from the factory. 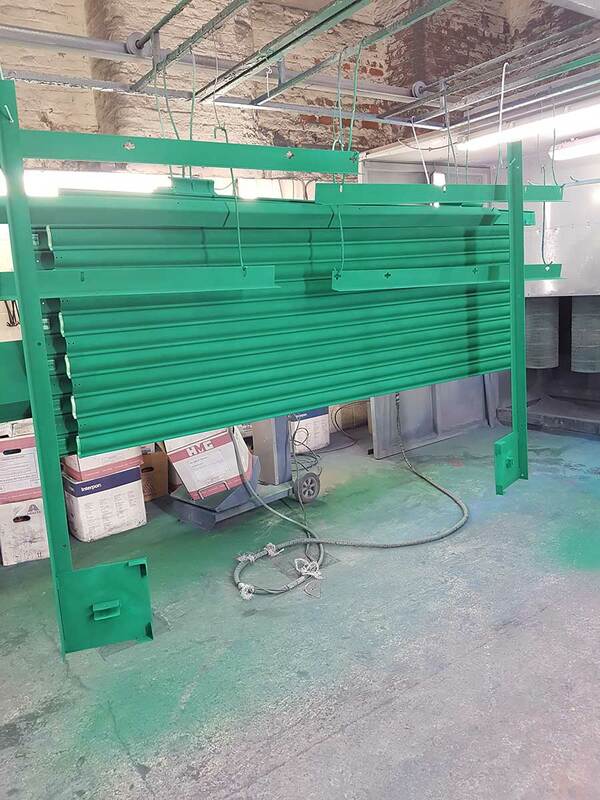 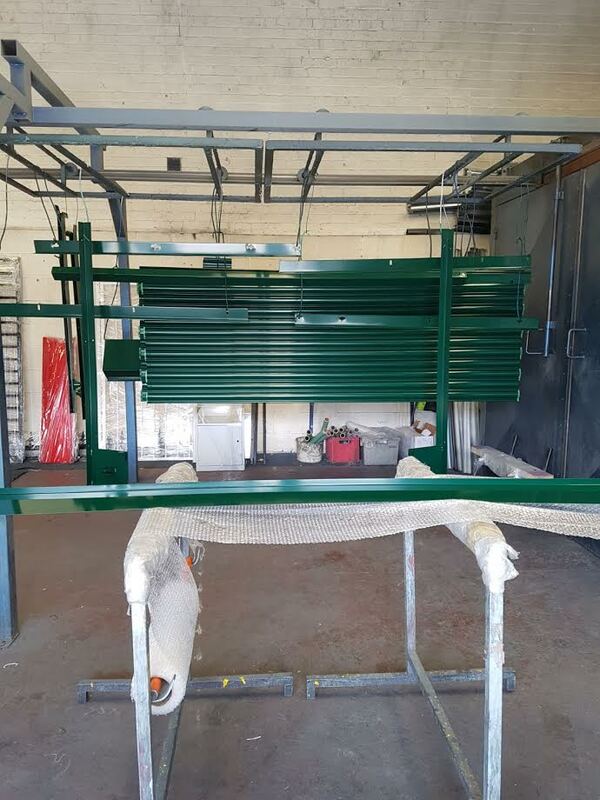 Powder coating is used for all our roller shutter colouring and is the modern alternative to stone enameling. 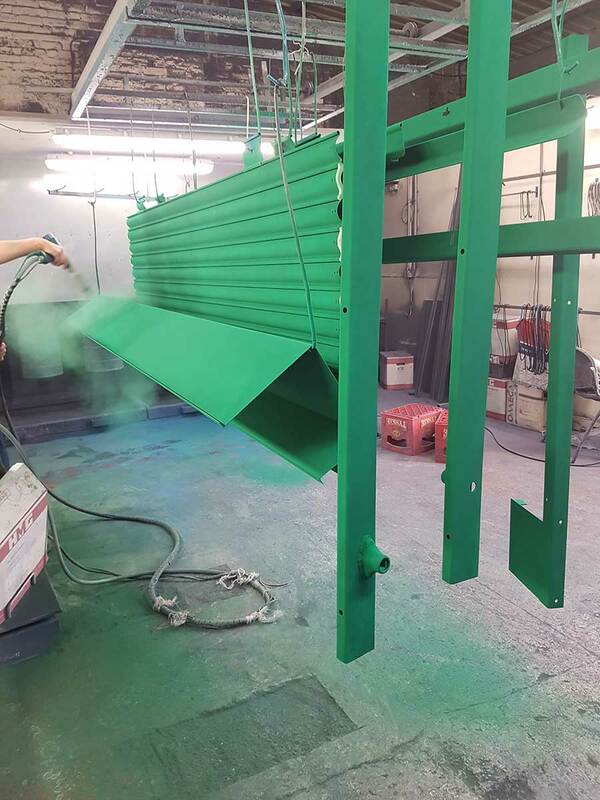 The powder is electro-statically charged and sprayed onto the earthed shutters, giving a superior, even coating. 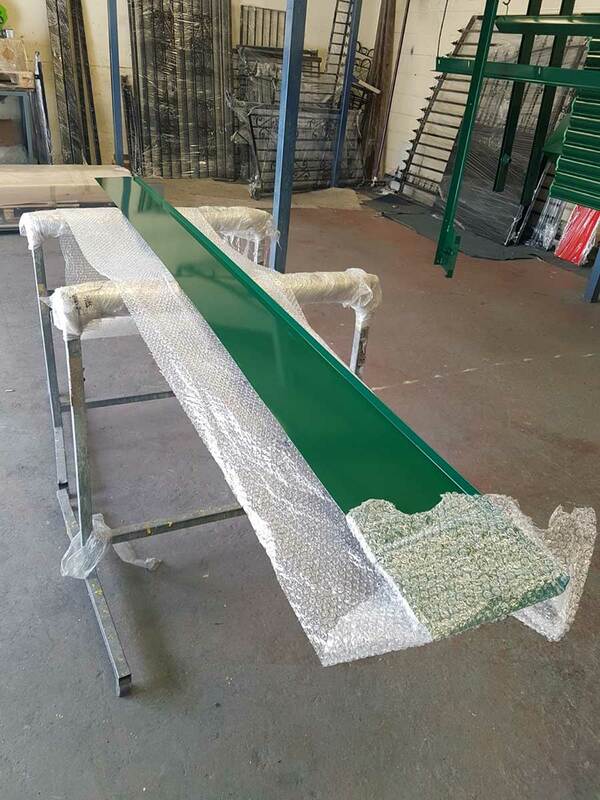 The shutter is then heated in the oven for an appropriate time for a high quality, glass-like finish.